Bicycles are a popular form of recreation, exercise and commuting in Massachusetts. It is a wonderful way for socializing with a group, going on a weekend adventure or even racing. Many cities and communities in Greater Boston have set up bike and have lanes on roadways for bicyclists to safely use while maneuvering in traffic. Unfortunately, collisions do happen between cars and bikes leading to severe injuries or death. As a bicycle rider, you are obligated to follow the motor vehicle laws. For example, you have to stop at all stop signs, red traffic signals, travel in the same direction as traffic, ride in the bike lanes when so designated and not ride on sidewalks in business districts. You can also be stopped and charged for intoxicated riding and have your driver’s license suspended. • Have lights and reflectors on your pedals and on the front and back of your bike. You need a white headlight if you ride at night. Ankle reflectors are required if your bike does not have reflectors on your pedals. Wear bright clothing. • Do not wear headphones or listen to a speaker while riding. • Make eye contact with motorists and verbally warn pedestrians who are walking with their backs to you of your approach and give pedestrians the right of way. • Assume that a motorist does not see you. • Always wear a helmet; riders 16 and younger are required to wear one by law. If you follow the traffic laws and are prudent while riding, you can avoid most accidents. It is difficult to avoid an accident, however, if the motorist is careless, intoxicated or driving distracted. You can collect compensation from the responsible motorist’s auto liability carrier, or from your own carrier if you have uninsured motorist coverage. Compensation includes medical expenses, lost earnings, lost earning capacity, emotional trauma and pain and suffering. Accidents involving motor vehicles and bicycles are not common but when they do occur, catastrophic injuries can be the result. 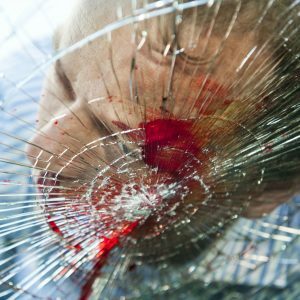 These types of accidents are different from accidents where only cars are involved and you need the experience of Boston car accident lawyer Neil Burns and Roshan Jain who has successfully handled these types of cases and knows the issues unique to these types of claims. Contact Burns & Jain if you were injured while riding a bicycle for a free evaluation of your claim.